It is that time again in which I share a few bits and pieces that I have been loving recently. Normally it is quite difficult for me to find new things that I like because I tend to stick to the products that I already love. This time, though, it has been quite easy, maybe because I had to try new products for a new project and also because I have bought some new items too that I am absolutely obsessed with. There are two kinds of items mainly in this post, which are fashion items and grooming products. 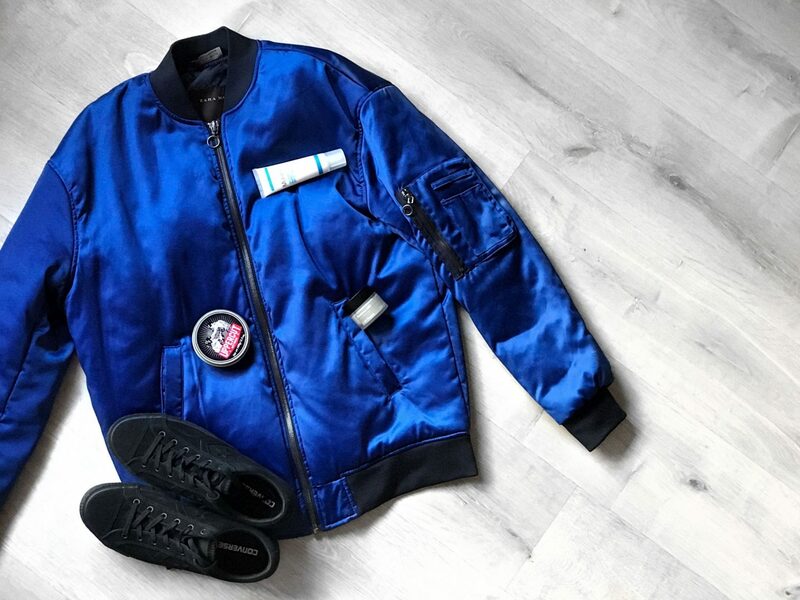 The first item I want to talk about is that gorgeous blue bomber jacket that I bought from Zara. It was actually quite cheap when I got it, as it cost me about 20€. It is a pity that it is a bit thick and I won’t be able to use it that much now that it is hotter and hotter everyday. However, I’ve practically been living in it since I got it, so it was totally worth it! What I love about it is its colour and how shiny it is in the daylight. Also, it has some really nice details such as the pocket on the arm. Unfortunately, I have not been able to find it online anymore, but you can find an alternative down below. Another fashion element that I would like to talk about is this gorgeous pair of sneakers from Converse. I am in love with them probably because their are not the old school Converse, as they are made of suede leather. They get dirty quite easily, which is a bit annoying, but I guess perfection does not exist. Its details are very nice and I really hope they last me for a while, although Converse have never lasted me long to be honest. Now let’s begin with some grooming products I have been using recently and that I absolutely love. The first one is Uppercut’s Matt Pomade. What I love about this product is that it has a matt finish, which is what I like for my hair, as I hate it when it looks too shiny. Also, it is very easy to apply it throughout the hair and it lasts for a while. If your hair gets a bit messy after a few hours, you can still re-style it a little bit so that it looks fine again. The smell of the product is a bit weird to be fair, but it is because it contains caramel. For this reason, you can think it smells like something familiar to you but in a strange way, if you know what I mean. 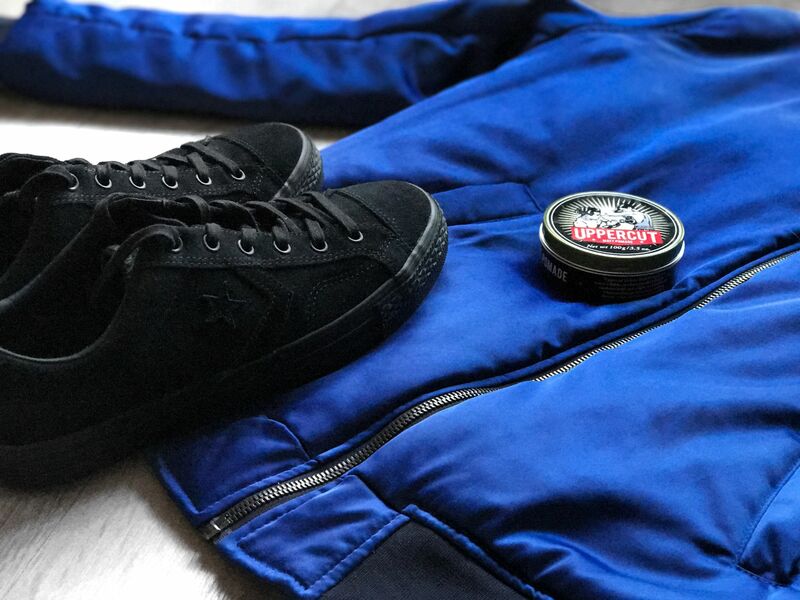 However, I totally recommend you the pomade, so give it a try! I love Perricone MD and I have already tried some of their products before. However, I had never tried their Cold Plasma, which is an anti-ageing cream. I have not been able to test if it really works as an anti-ageing cream because I am still quite young, but it is definitely a great moisturiser. Your face feels so nice after using it. However, this product is a bit more pricey, but I feel it is totally worth buying it. 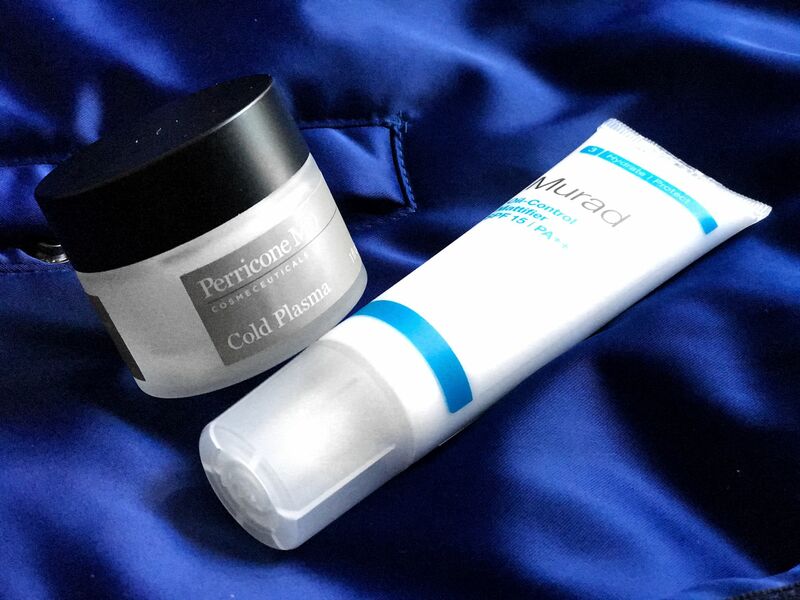 Also, I have been using it after Perricone MD’s Blue Plasma, which I think is a really good combination you should try. My face is very oily as I have probably said before in another post. For this reason, some creams are not very good for me because they add even more oil to it. However, I found this Oil-Control Mattifier from Murad which works amazingly good for me. It moisturises your skin but it also keeps it oil-free. While I was testing it, I thought that the effect would not last all day long, especially after doing everything I had to do, but I was wrong. It lasts for a long time and the skin is not shiny at all. For this reason, I think it is perfect for photoshoots in which you don’t want a shiny forehead. Try it, I’m sure you’ll love it as much as I do, especially if you have an oily skin too. I hope you liked the items I have mentioned in the post. I absolutely love them all, although I must admit that the jacket is probably my favourite one as I really wanted one like that. Let me know if you give any a go so that I can have another point of view too. You can also tell me some products you would like me to try in the future in the comments, you know I love trying new things. *This post contains PR samples. Nice post. I love Murad. There Clay mud mask is so good!